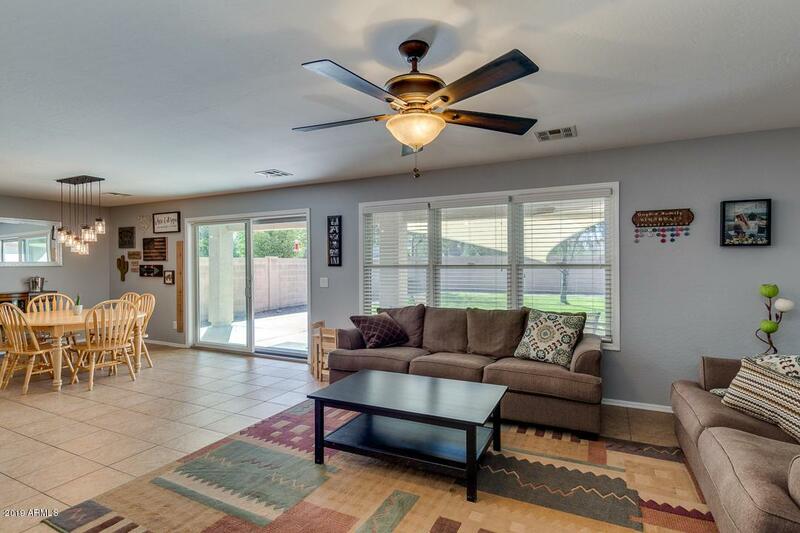 If you blink you'll miss this wonderful 5 bed, 3 bath property in Surprise Farms! 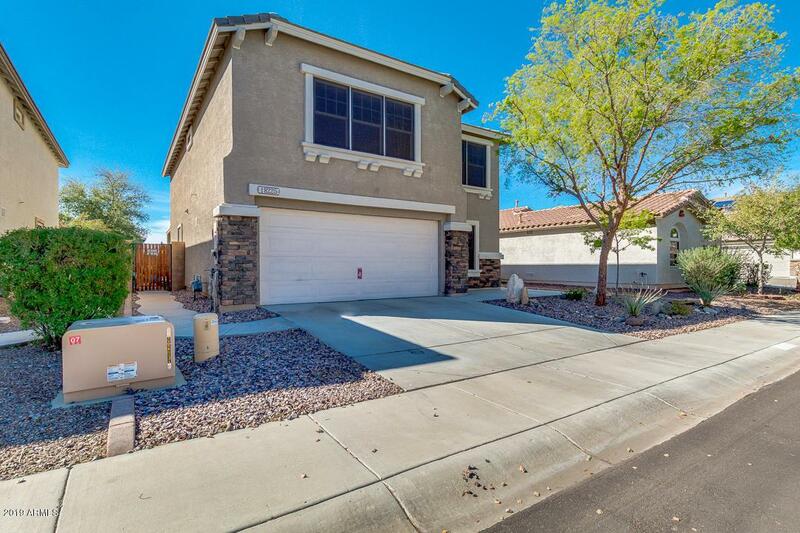 This two story home features an open floor plan, neutral color palette, huge loft, and picture windows that allow for tons of natural light. There's one bedroom and full bath downstairs, along with a huge kitchen, and subway tile backsplash. 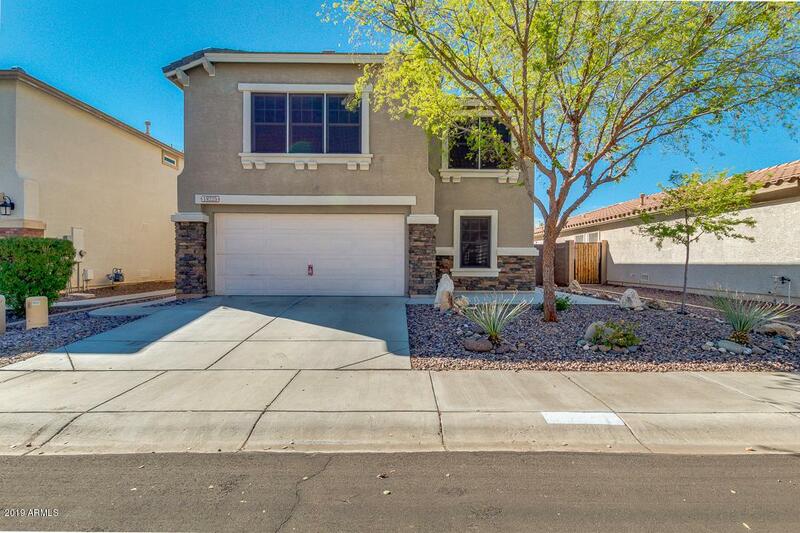 Beautiful kitchen has track lighting, stainless steel appliances, breakfast bar, cabinet space, and walk-in pantry. Upstairs master suite offers walk-in closet and full bath with double sinks. Backyard with extended covered patio, storage shed, and grassy area with surrounding bike path. 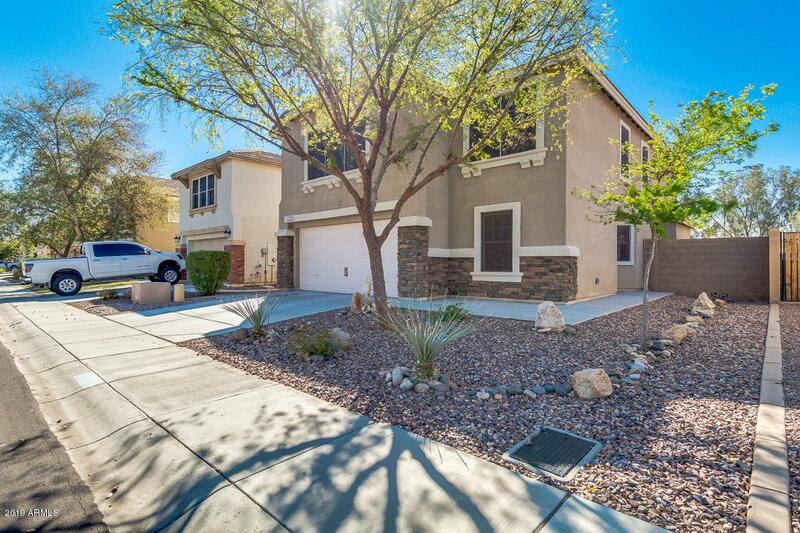 This is the perfect home for you! Book your showing today before its gone!